Band is a co-curricular class, sanctioned by Regina Public Schools. Band class operates as a pull-out program during the school day from September to May. Students participate in the band program for approximately two hours per week. Students receive one 30- to 45-minute small group lesson per week, as well as an additional one-hour, full-band rehearsal with all Grade 6 band students from schools in the area. Typically, students are bussed to the full-band practice. Instruments in a concert band include woodwinds (flute, oboe, clarinet, and alto and tenor saxophone), brass (trumpet, French horn, trombone, baritone and tuba), and percussion (all drums, bells and other auxiliary percussion instruments). The band program begins in Grade 6 and continues through to Grade 12. To enrich the student’s experience, some special activities such as festivals or workshops may occur outside of the regular school day/week. Teachers in the band program all hold a Bachelor of Education degree and have specialized in teaching music. Playing in band can be one of the most enjoyable experiences a student will have in school. It is an excellent means of developing instrumental technique; reading, listening, and memory skills; and concentration. In addition, the band experience develops discipline, confidence, creative expression, social skills, group responsibility and leadership, and adds a unique richness to one’s quality of life. Child development researchers have identified music as one of seven intelligences equal in significance to linguistic and logical-mathematical skills. This is one of the most cost-effective ways to secure quality music education for your child. Students are expected to take independent responsibility for attending rehearsals and completing regular class work. To ensure success, home practice on a regular basis is required. Because this is a performance-based program and the band is a team, each member of the team is vital to the performance. It is an expectation that when the band performs, all students are in attendance. Typically, the band will perform two evening concerts per year (usually winter and spring). Unless there are extenuating circumstances, it is expected that the student will complete the entire school term. There is a registration fee for band which is outlined in the Regina Public Schools band registration form. If your child demonstrates a keen interest in learning to play an instrument and finances are a concern, please approach your school principal. 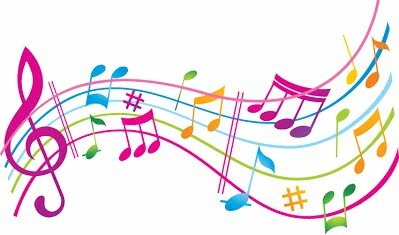 Your band director will go through an evaluation process to ensure your child is placed on the instrument best suited for him/her. There are several options to consider when obtaining an instrument for your child. As you consider these options, please note that the success of your child is directly related to a properly working instrument. 1. Buying new or used from a music vendor or private party. 2. Renting from a music vendor. 3. 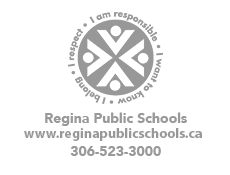 Renting from Regina Public Schools. Tubas, baritones, bass clarinets and French horns are available through the school division. If your child is interested in playing one of these instruments, please discuss this option with the band director. 4. You may have access to an instrument by some other means such as a friend, a relative, or a newspaper ad. Please make sure the quality of these instruments is checked so that your child will have a successful experience. The band director would be happy to consult with you. Your director will indicate the method book your child requires, as well as any small items (such as oil, reeds and cleaning supplies) that may be required for his/her instrument.